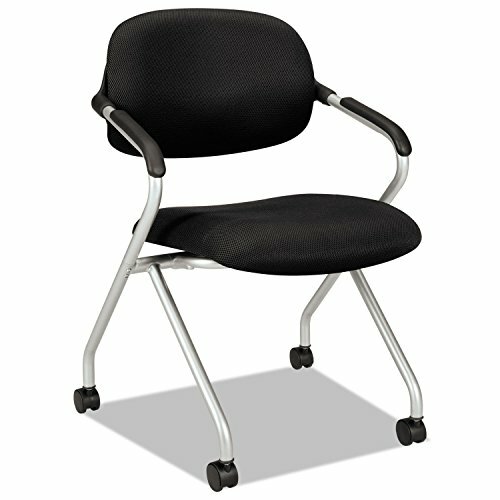 Contemporary design with a contoured mesh back and upholstered flip-up seat. Folds to 8" for space-efficient nested storage. Padded arm supports for added comfort and easy-rolling casters for mobility. If you have any questions about this product by Basyx, contact us by completing and submitting the form below. If you are looking for a specif part number, please include it with your message.